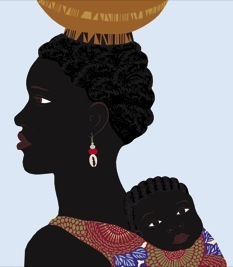 “………..It was Grace who, after graduating from secondary school, would teach elementary school in Agueke, where people told stories of the destruction of their village by the white men with guns, stories she was not sure she believed, because they also told stories of mermaids appearing from the River Niger holding wads of crisp cash. It was Grace who, as one of a dozen or so women at the University College in Ibadan in 1953, would change her degree from chemistry to history after she heard, while drinking tea at the home of a friend, the story of Mr. Gboyega. The eminent Mr. Gboyega, a chocolate-skinned Nigerian, educated in London, distinguished expert on the history of the British Empire, had resigned in disgust when the West African Examinations Council began talking of adding African history to the curriculum, because he was appalled that African history would even be considered a subject. It was Grace who would ponder this story for a long time, with great sadness, and it would cause her to make a clear link between education and dignity, between the hard, obvious things that are printed in books and the soft, subtle things that lodge themselves in the soul. It was Grace who would begin to rethink her own schooling: How lustily she had sung on Empire Day, “God save our gracious king. Send him victorious, happy and glorious. Long to reign over us.” How she had puzzled over words like “wallpaper” and “dandelions” in her textbooks, unable to picture them. How she had struggled with arithmetic problems that had to do with mixtures, because what was “coffee” and what was “chicory,” and why did they have to be mixed? It was Grace who would begin to rethink her father’s schooling and then hurry home to see him, his eyes watery with age, telling him she had not received all the letters she had ignored, saying amen when he prayed, and pressing her lips against his forehead. It was Grace who, driving past Agueke on her way to the university one day, would become haunted by the image of a destroyed village and would go to London and to Paris and to Onicha, sifting through moldy files in archives, reimagining the lives and smells of her grandmother’s world, for the book she would write called “Pacifying with Bullets: A Reclaimed History of Southern Nigeria.” It was Grace who, in a conversation about the book with her fiancé, George Chikadibia—stylish graduate of King’s College, Lagos, engineer-to-be, wearer of three-piece suits, expert ballroom dancer, who often said that a grammar school without Latin was like a cup of tea without sugar—understood that the marriage would not last when George told her that it was misguided of her to write about primitive culture instead of a worthwhile topic like African Alliances in the American-Soviet Tension. They would divorce in 1972, not because of the four miscarriages Grace had suffered but because she woke up sweating one night and realized that she would strangle George to death if she had to listen to one more rapturous monologue about his Cambridge days. It was Grace who, as she received faculty prizes, as she spoke to solemn-faced people at conferences about the Ijaw and Ibibio and Igbo and Efik peoples of Southern Nigeria, as she wrote common-sense reports for international organizations, for which she nevertheless received generous pay, would imagine her grandmother looking on with great amusement. It was Grace who, feeling an odd rootlessness in the later years of her life, surrounded by her awards, her friends, her garden of peerless roses, would go to the courthouse in Lagos and officially change her first name from Grace to Afamefuna.